The vast Missouri River is born just west of Bozeman, Montana, where the Gallatin, Jefferson, and Madison rivers converge at Three Forks. It traverses more than 2300 miles, becoming America’s longest river before dumping into the Mississippi at St. Louis. Closer to the beginning, after crossing Montana and North and South Dakota, the Missouri serves as a boundary and border between Nebraska and South Dakota. 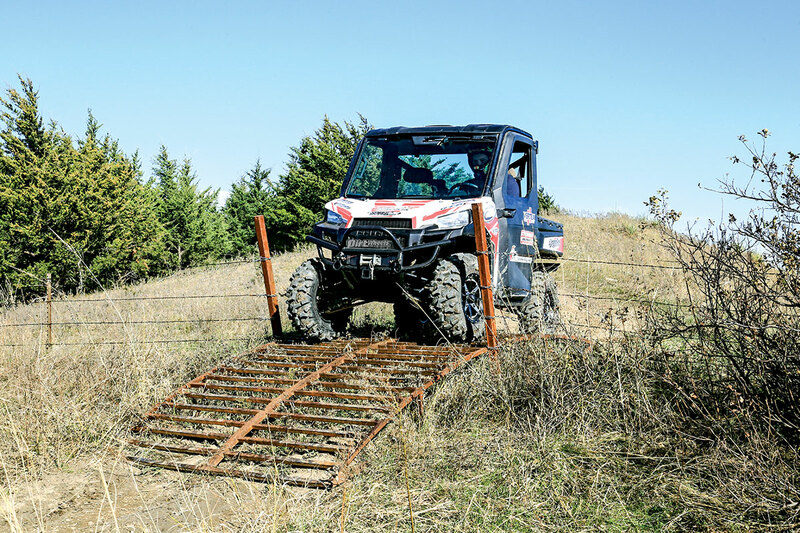 Nebraska has plenty of open land, but not state-owned land used as off-road riding areas. 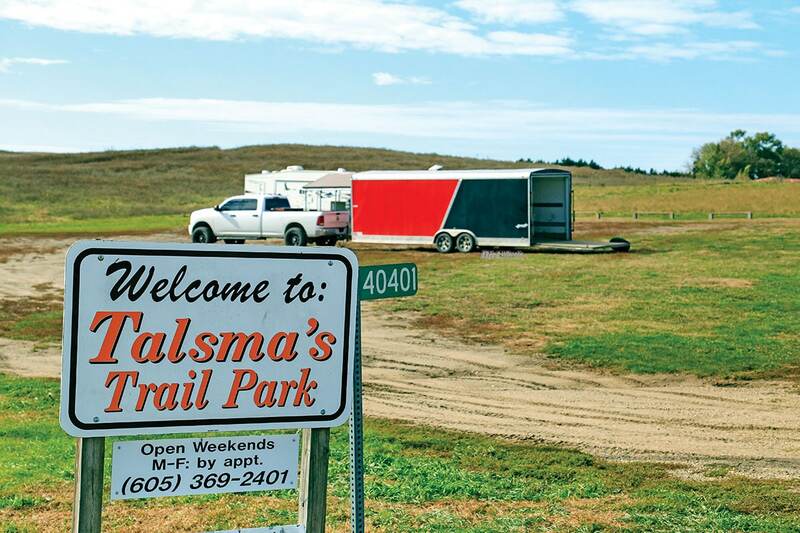 For folks in northern Nebraska, the closest off-road riding area is Talsma’s Trail Park. Technically, the park is in Avon, South Dakota, but it isn’t near any sizable towns. 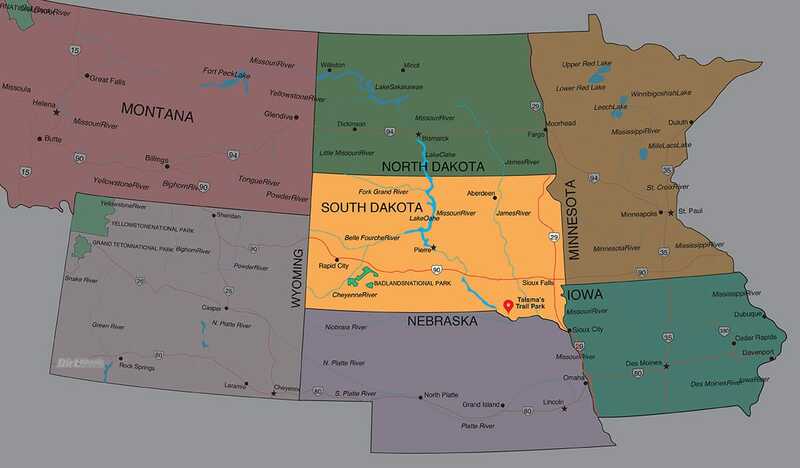 Coming from Nebraska, you cross the Missouri and drive a few miles into South Dakota before swinging back towards the border. Even at this point the Missouri River is a large river. It is the state boundary here, as well as the property line for the Talsma’s Trail Park. We are shooting from one of the trails. 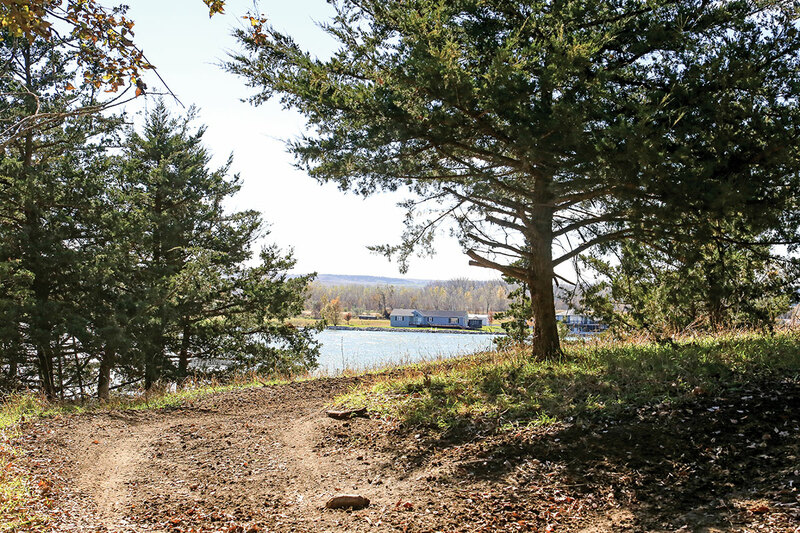 Talsma’s is Missouri riverfront property, and the most challenging trails of the homegrown system are the steep areas where the rolling hills and plains drop off sharply to the banks of the Missouri. 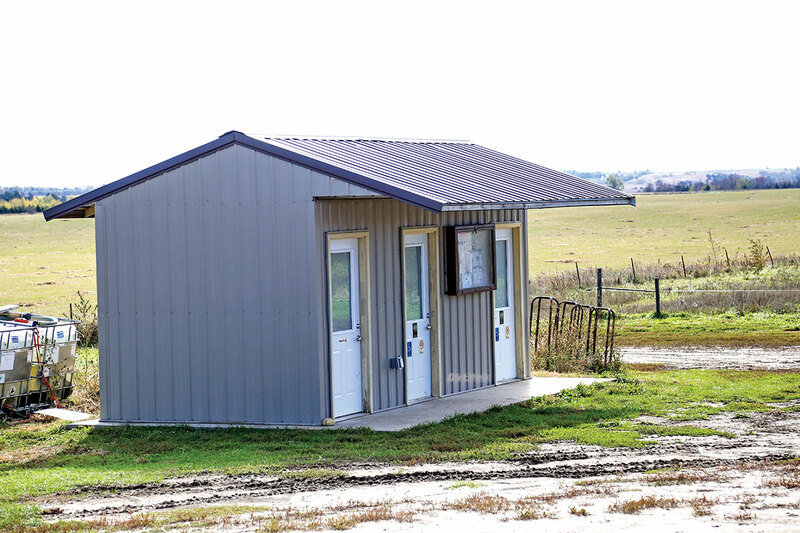 Talsma’s is an active, functioning farm and ranch, so riders are limited to existing trails and designated routes. It is a varied and attractive property with a lot of elevation change. Due to the nature of the ground, it doesn’t really develop whoops, but the trails in the prairie areas tend to be somewhat smooth, double ruts. 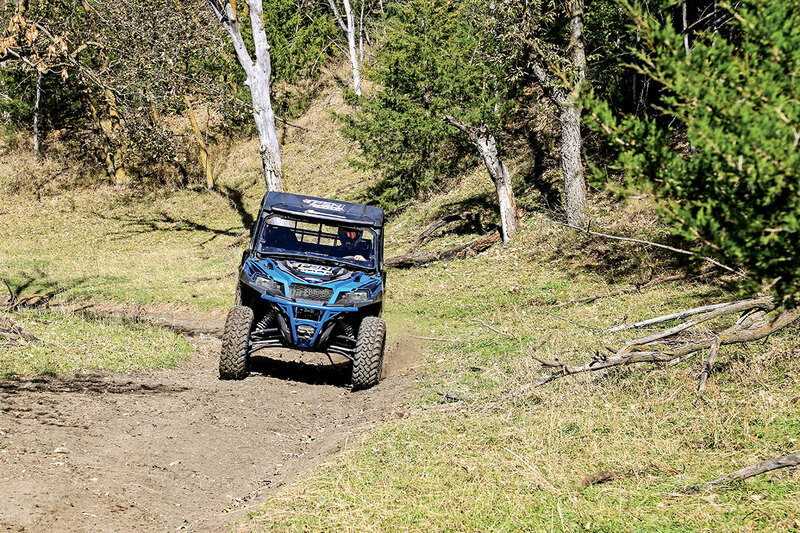 As a result, you can have a bunch of trail fun with fairly modest machines. We spent our time there in a Polaris Ranger and a Polaris General. We had all the power and performance we needed to handle the trails. Some of the canyons and rutted descents near the river will thrill riders and drivers with any level of courage and experience, but much of the trail system is pleasant with great views. 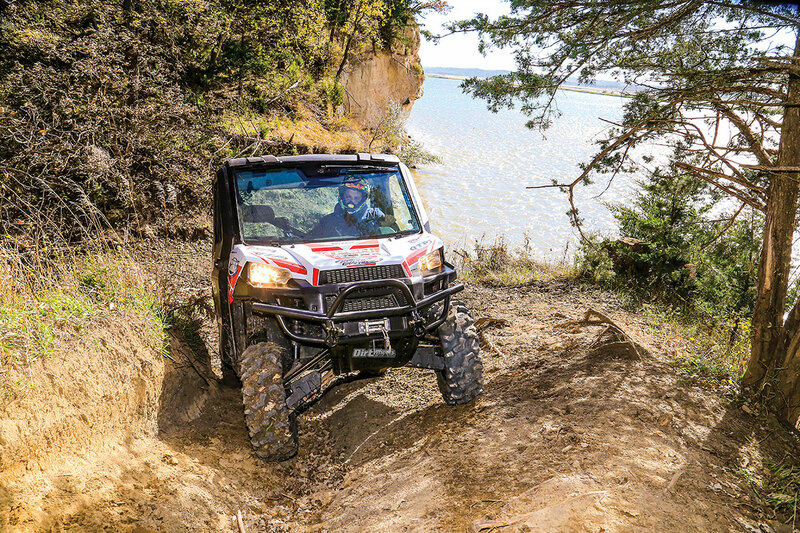 For UTV drivers, any passenger can enjoy these trails. Many of the trails are established enough to have a pronounced two-track. In some places they are deep enough to make sliding turns improbable. Riders must be 12 years old to operate their own machine, and anyone under 18 is required to wear a helmet and eye protection. You have to take all your garbage with you. There is no drinking alcohol allowed, either. No pets are allowed. No smoking or campfires, and of course no littering or hunting. Do bring safety gear (goggles, helmets, gloves), food and water, but not in glass bottles. Make sure you dress for the weather, and bring a change of clothes, since there is a good chance yours will be muddy or dusty. Ours were dusty and muddy! Sunscreen and insect repellent are a good idea as well. We were glad we had a camera for the river views. As you approach the bluffs near the river, the trails can become steep and rugged. At this point the trail simply loops around a tree and heads away from the Missouri River. There is some rough camping, but the planned campground is not completed. There is a nice covered picnic area as part of the staging area. Home-style bathrooms with running water and flush toilets are another welcome addition. We looked these locations up, and none are more than 30 to 40 minutes from the riding area. There are several small towns in the area with fuel, supplies and food, but none are adjacent to the ranch. Everywhere the trails cross fence lines there are cattle guards like this one. They are plenty wide for 64-inch cars, but they feel narrow as you head into them. Designated routes are signed and easy to follow. Most are not nearly as straight or flat as this one leaving staging. Talsma’s Trail Park has a clean and flat little staging area. Our hosts had made arrangements for a mid-week visit. There was only one other machine in the park. A modest, covered picnic area is right in the staging/sign-up area. 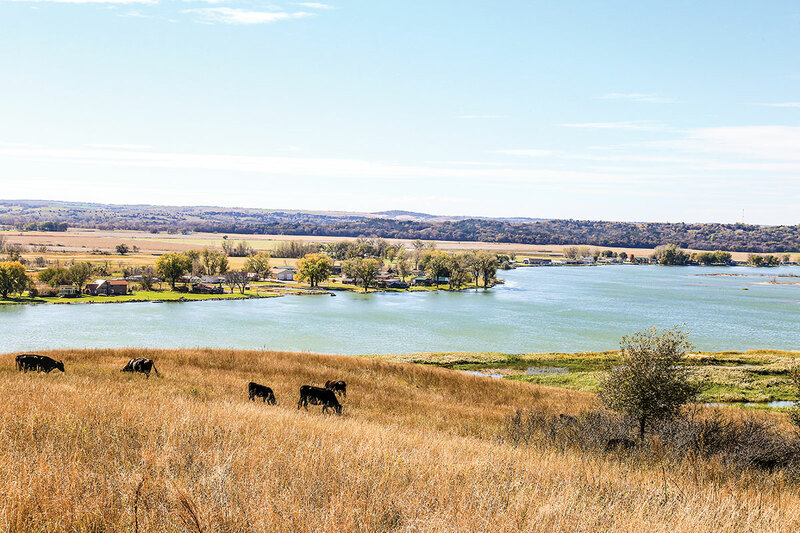 Talsma’s Trail Park is located just over the border from Nebraska, and across the Missouri River. 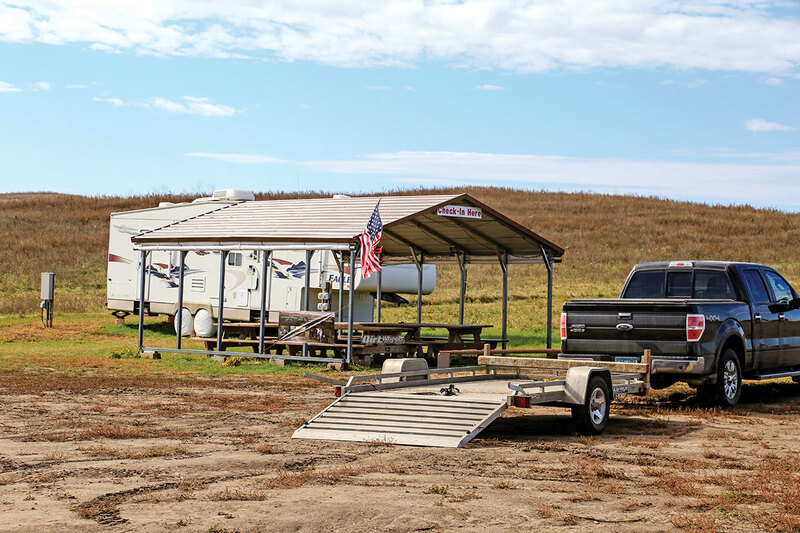 Currently the Talsma’s campground is under construction, but you can call (605) 369-2401 for further camping information.